The new look Club-Series cart bag offers a combination of style and organisation for your round of golf. The bag has been constructed with a durable nylon material for long lasting use, and has an anti-twist base with EASILOCK™ compatibility, for a more secure fitting to your mode of transportation. 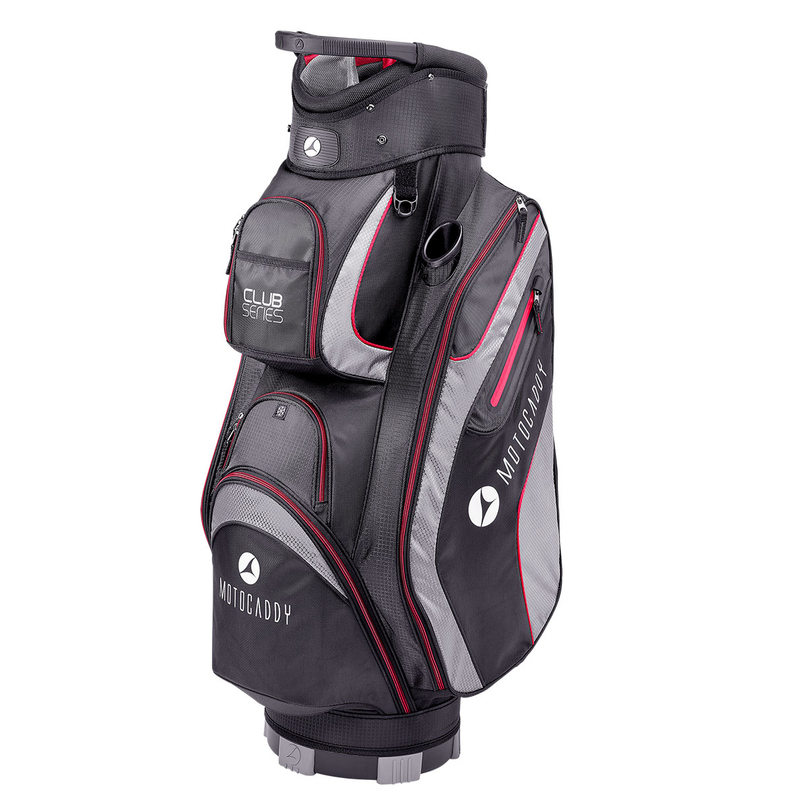 The bag has a top divider system for better organisation, with a dedicated putter well for quick and easy access around the greens. 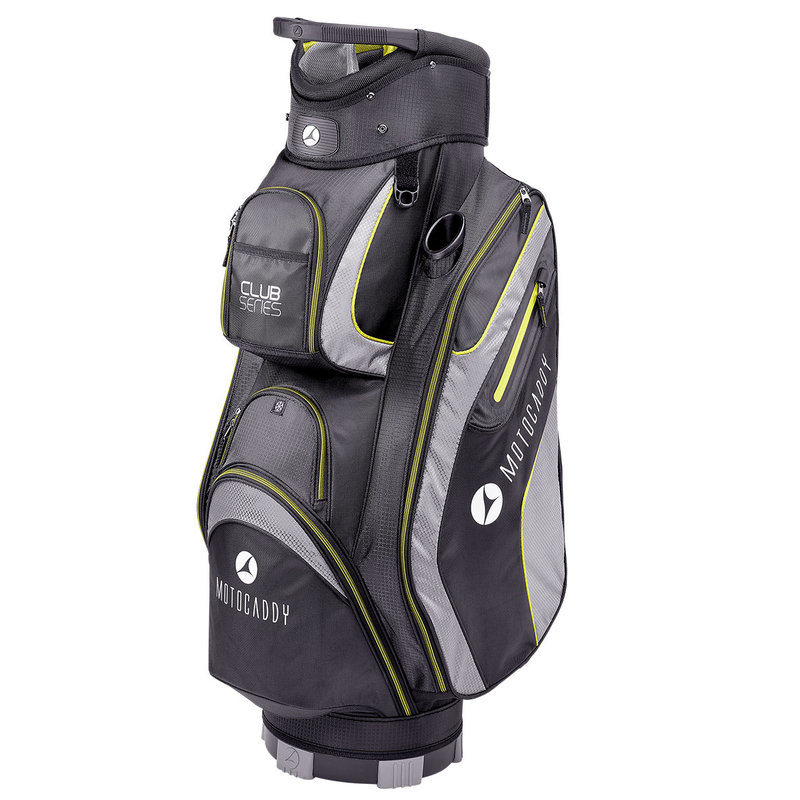 Seven pockets in total help to store all of your essentials golf gear, these include a valuables, beverage, apparel, and ball pocket. To assist you the bag has a convenient lift assist handle, and has an external umbrella sleeve and matching rain hood.